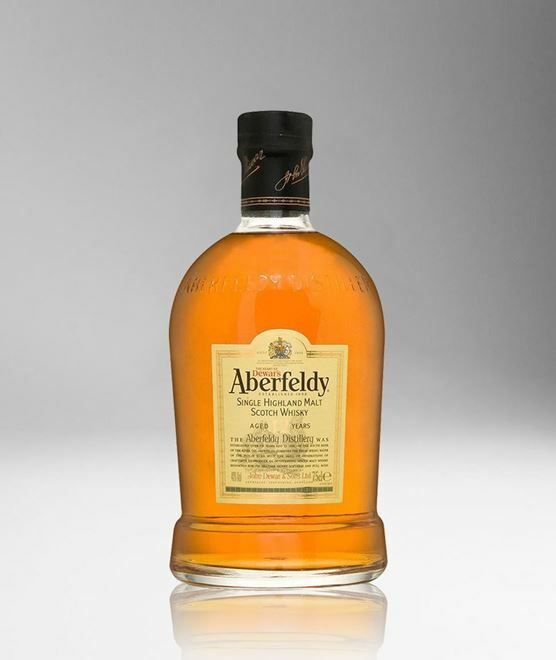 The Perthshire distillery of Aberfeldy produces elegant yet robust single malts which deserve to be much more widely celebrated, though the bulk of Aberfeldy’s output goes into the best-selling Dewar’s White Label blend. This 12-year-old expression has an attractive honeyed nose and is very nicely balanced. Deep amber in colour - the first nose is relatively closed, with traces of beeswax and buttered toast covering a zesty note of orange peel. Smooth and scented to taste; sweet to start, with a hint of white pepper, drying in the warming finish. Water increases the waxy note in both the aroma and texture, making it not so dry in the finish. Easy drinking.